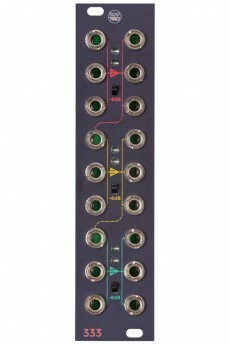 The 333 is a summing and distribution module for eurorack modular systems. 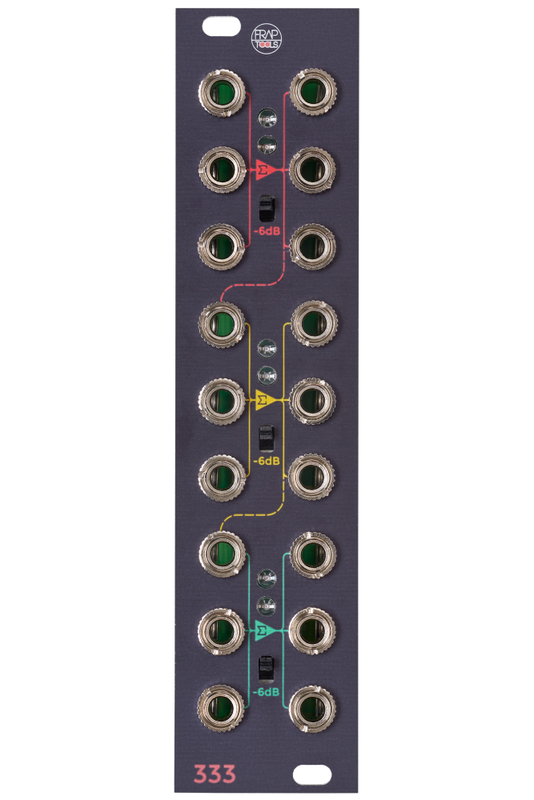 It is composed of three identical sections, the red, yellow and green, each of those featuring a three inputs summing amplifier with three independently buffered outputs. The sum section is DC coupled, allowing the sum of control voltages as well as audio signals. 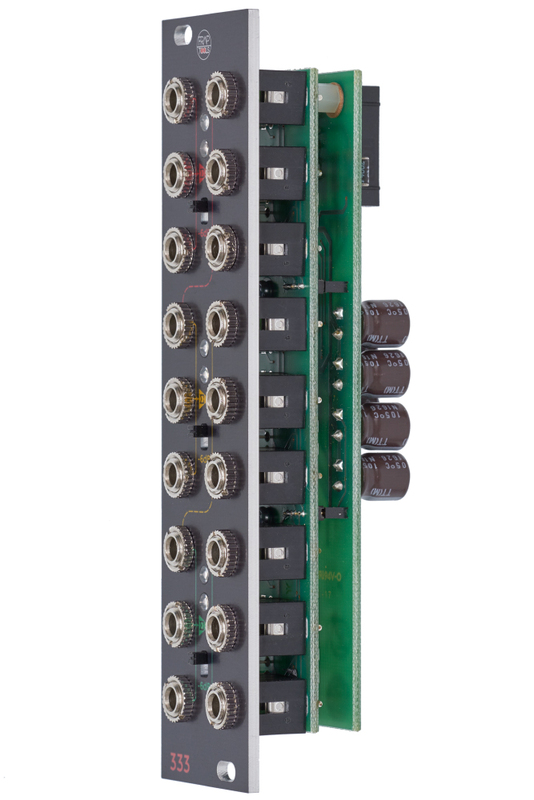 In case CVs or audio signals are particularly hot, the 6dB attenuator might be helpful to reduce exactly by 50% the incoming signals. 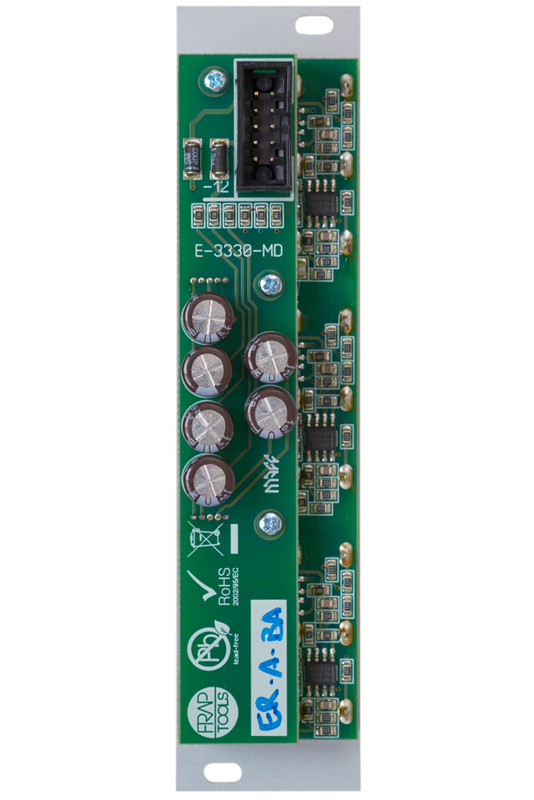 The module can also work as a 1 to 9 buffered multiple.